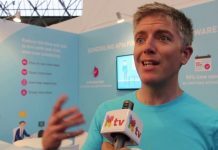 Varbi is going global: "We are ready for the next step"
Recruitment Tech TV spoke with Andreas Hansson from Varbi at Unleash Amsterdam. He told us more about how 2018 turned out for Varbi and their plans for this year. Varbi supplies an all-in-one recruitment system that is used by over 37,000 recruiters and managers. This recruitment tool is covering the whole recruitment process in a really simple and easy way, from advertising and receiving applications, to filtering, performing tests and communicating with candidates and colleagues. Based in Sweden, being one of the market leaders, Varbi works with various municipalities, universities and colleges. The system is available in various languages and is GDPR-proof. Furthermore, the tool is user-friendly and has lots of good functions which are placed in the system in such a way that it makes the tool very easy to navigate. 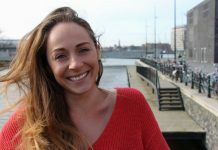 “We started in Sweden and noticed that we had built a system that is usable for the whole Nordics. That’s pretty much our base, where we started.” In 2018 Varbi made some great steps towards going global. “It’s not only easy to use for the Nordics, but global. Now we want to take the next step.” Andreas Hansson tells more about Varbi and their plans for 2019 in the video below.